John Hinds is not only a fantastic speaker, but also an extremely experienced motorcycle racing doctor. He provided a fantastic insight in to the instantaneous care of trauma at high-speed motorcycle races. “Beware the boot lying in the road” – riders are likely to have realised they are about to crash and put their foot down, leading to lower limb spiraling. Gruesome photos. Interesting point for all to bear in mind: helmet removal is quite safe. In thousands of cases of helmet removal, John stated they have never had any deterioration due to the removal. Note that there might be significant CO2 buildup within the helmet thus high-flow O2 should be delivered if there is any delay in helmet removal. We were walked through a critical appraisal of what may be one of the biggest studies published this year so far by the hugely experienced Sandra Ware. The American ProCESS study is the first of three publications expected to answer the 13-year-old question: Is early goal-directed therapy (EGDT) superior to protocolised standard care (PSC) or unstandardised ‘usual care’ (UC). The study was a multicentre, open label (i.e. both the researchers and participants know which treatment is being administered), randomised controlled trial in 31 EDs in the USA of 1,351 patients admitted between March 2008 and May 2013. The primary end-point was hospital mortality prior to discharge or 60 days, whichever came first. Secondary mortality outcomes included the rate of death from any cause at 90 days and cumulative mortality at 90 days and 1 year, while a range of morbidity outcomes were also assessed. There were no significant differences between any of the primary or secondary outcome measures, although IV fluid administration was higher in the first six hours in the PSC group and vasopressor use in the same time period was higher in the EGDT and PSC group. What are we to think? Perhaps the simple measures are the most important in the initial phases of sepsis management. This may be the start of a shift away from EGDT and early vasopressor with invasive monitoring to a more clinically directed, pragmatic approach to management of septic patients. Excellent podcast by Scott Weingart interviewing ProCESS study author Derek Angus can be found here. Great article with rationale for management decisions by Peter Sherren & the team can be found here. 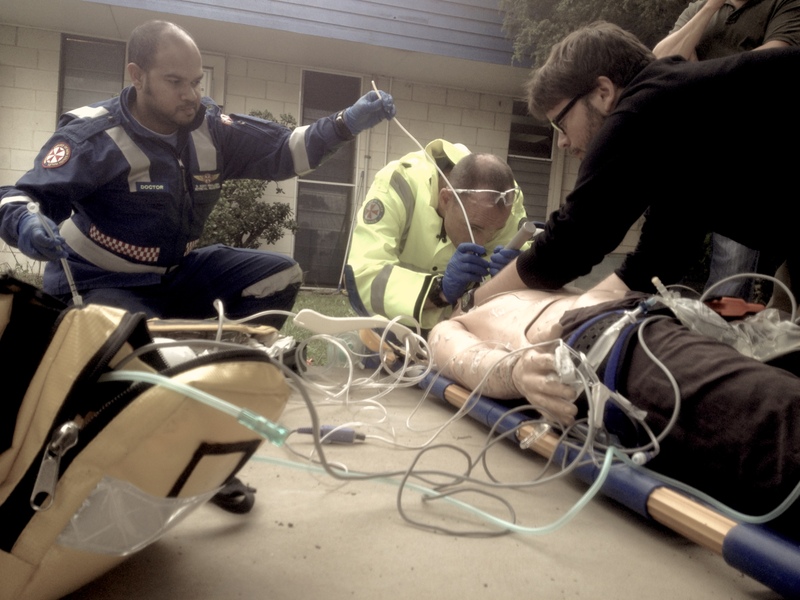 This entry was posted in General PH&RM, Presentations, simulation, training and tagged CGD, education, EGDT, Sandra Ware, SMACC, training, Trauma. Bookmark the permalink.